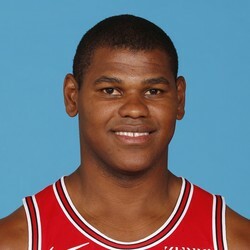 Cristiano Felicio played 15 minutes on Friday against the Nets and scored five points with four rebounds. He shot 1-of-4 from the field and 3-of-4 from the line in the 125-106 win. Felicio has seen an increase in his playing time over the last three games with at least 12 minutes per game. He should continue to get some run with Bobby Portis out of town but his fantasy output is still limited with just 5.0 points and 3.3 rebounds per game in his last three outings.